D508 Pilo derailleur hanger 6061 T651, made with CNC technology. Made in Italy. Lighter and more durable than the hanger series. 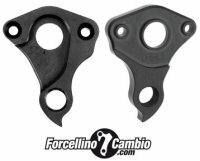 Pilo D345 derailleur hanger 6061 T651, made with CNC technology. Black anodized. Lighter and more durable than the hanger series. Pilo D350 derailleur hanger 6061 T651, made with CNC technology. Black anodized. Lighter and more durable than the hanger series. 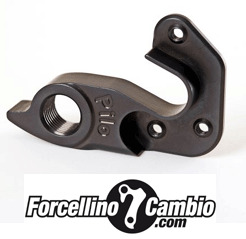 Pilo D363 derailleur hanger 6061 T651, made with CNC technology. Black anodized. Lighter and more durable than the hanger series. Pilo D443 derailleur hanger 6061 T651, made with CNC technology. Black anodized. Lighter and more durable than the hanger series. Pilo D451 derailleur hanger 6061 T651, made with CNC technology. Black anodized. Lighter and more durable than the hanger series. Pilo D498 derailleur hanger 6061 T651, made with CNC technology. Black anodized. Lighter and more durable than the hanger series. Pilo D545 derailleur hanger 6061 T651, made with CNC technology. Black anodized. Lighter and more durable than the hanger series. 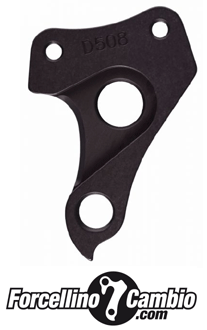 Pilo D592 derailleur hanger 6061 T651, made with CNC technology. Black anodized. Lighter and more durable than the hanger series.